Did you know it’s possible to have a clean home in just 10 minutes a day? I know, crazy, right! It’s true, though. 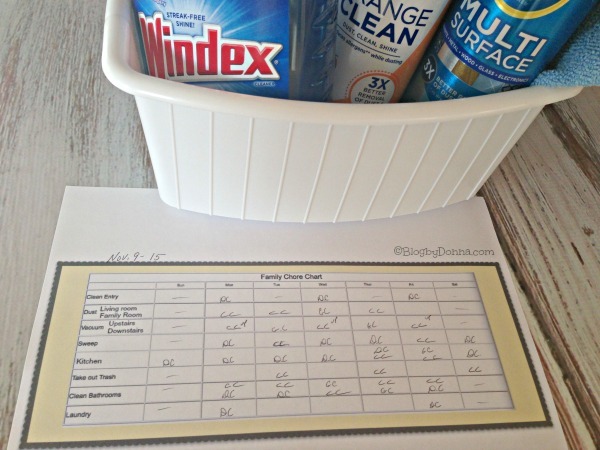 If you have a plan and a chore chart along with the right cleaning products like Pledge® and Windex®… it is possible. You do need to thoroughly clean your home at least once, and then all it takes to keep your home clean is 10 minutes a day. While I was at Kroger (*Kroger Affiliates Include Baker’s Supermarkets, City Market, Dillons Food Stores, Fry’s Food And Drug, Gerbes Super Markets, Harris Teeter, Jay C, King Soopers, Owen’s, Pay Less Super Markets, QFC, Ralphs, Scott’s, Smith’s, Fred Meyer, and Food 4 Less.) the other day, I picked up some cleaning supplies: Pledge® MultiSurface in Rainshower, Pledge® Orange Clean, and Windex® Crystal Rain Glass Cleaner. With these three products I can maintain a clean home, every day. One of the most important areas of my home to keep clean and neat is my entry. It’s the first space anyone sees upon entering my home… the first impression of my home. Not to mention that many people come to my home, like the UPS guy, that never see past my entry. So it’s important that it stays clean and neat. As you can see from the video above, I use Pledge® All-Purpose Cleaner on my outlet cover ,which for reasons I don’t understand (my son), stay smudged with fingerprints and sticky stuff. I use Pledge® Orange Clean on my cherry table in my entry, and Windex® Crystal Rain Glass Cleaner on my storm door. Between our dog and son, the glass always has fingerprints and smudges on it. I can literally have it clean in approximately 2-3 minutes, which leaves me 7-8 minutes to clean other rooms of my home. I usually do my entry and one other room every day. Some days I’m the one doing the 10-minutes of cleaning a day. If that’s the case the other room I clean besides the entry is the kitchen. Then the other days, my husband, son, and I each do different rooms/areas for 10 minutes. 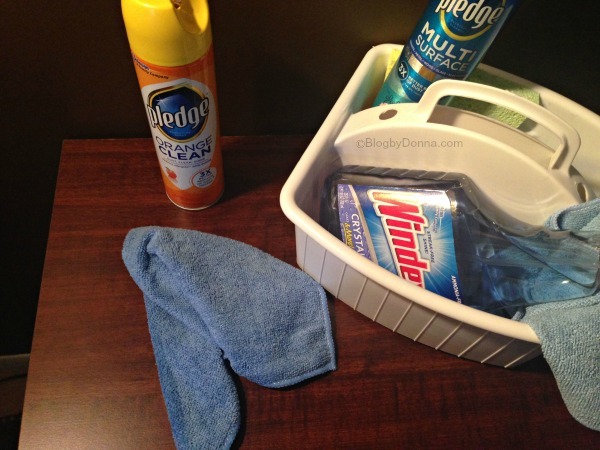 Keep a caddy or bucket (something to carry cleaning supplies) with a furniture polish like Pledge® Orange Clean, a multi-surface cleaner like Pledge® Multi Surface, and a glass cleaner like Windex®, along with sponges and rags/towels/microfiber cloths. Keep separate sponges for bathrooms. You do not want to cross-contaminate through your home. Always have designated sponges for the kitchen and bathrooms, and throw them out weekly. Use microfiber cloths, even for windows and old towels or rags to do all of your cleaning. I try not to use paper towels, it’s much more economical and eco-friendly. We have a family chore chart we use to keep us on track. As we do our chores we initial the day we did the task. If you notice, I don’t have bedrooms on my chore chart because we all know that we have to make beds every morning. And the days we vacuum, we vacuum the bedrooms. Same with dusting, even though I only have living room and family room on the chart, it is known and expected that whoever dusts, does so throughout the house. However, you might find it better to make your chore chart more specific. Do what works for you. As you can see, I can keep a clean home in 10 minutes a day using Pledge® Multi-Surface, Pledge® Furniture Polish, and Windex®. 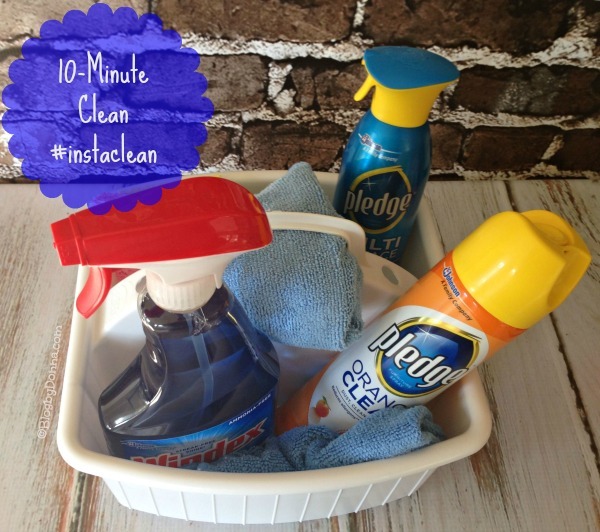 What’s your 10-minute clean home tip? These are the products we use and have used for many many years. These are great products. I like the microfiber cloth suggestion, paper towels can be such a waste. Great products but there is no way it happens in 10 mins, lol, well maybe if you don’t have little fingers all over! These are all my favorite products and I love how fresh and clean they leave my house feeling. I have to switch to these. Thanks for sharing. I’m obsessed with Pledge, I remember my grandmother using it as a kid. These are the products we have used for many many years. They work amazing! Somehow, I doubt our house would be clean with ten minutes of cleaning a day. There are too many people to undo my work! I have cherry furniture which I love to use Pledge on too. It does such an incredible job! I need to get a chore chart started. My kids are old enough to help out. I don’t believe I have ever tried Pledge before, but nothing compares to Windex! 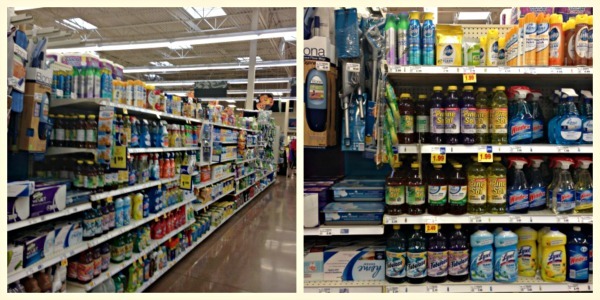 Unfortunately, I can’t use traditional cleaning products because of my allergies. We love Windex! We haven’t tried Pledge products though! We’ve been using these products for many many years. They are awesome! 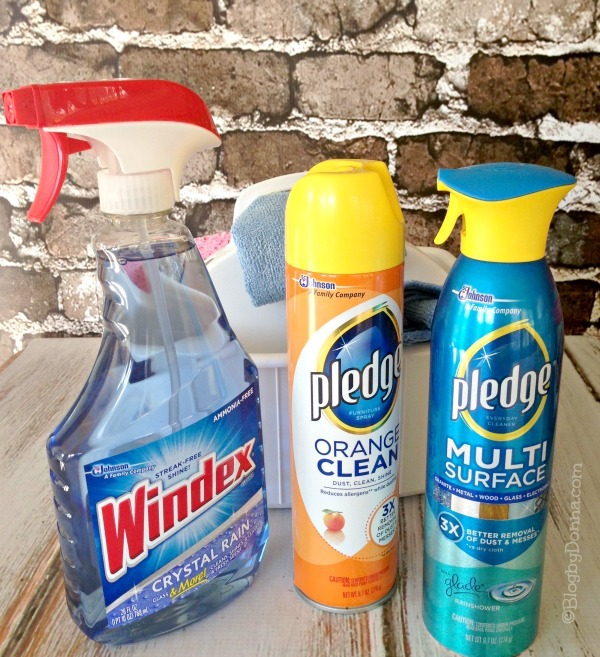 I grew up using both Pledge and Windex, so the scents alone bring back childhood memories. I love the idea of the entire family pitching in to help with chores!